Good Morning America just announced their annual Summer concert series for 2017 and they’ve got all of your favorite artists hitting the Central Park SummerStage from May to September! All of the GMA Summer Concerts take place at Rumsey PlayField in Central Park from 7-9am every Friday during the Summer. If you want to get the best spot for your favorite artist, we recommend arriving at the 72nd St. entrance of Rumsey PlayField before 6am since there is usually a large crowd. Most shows are free and open to the public however The Chainsmokers will require free tickets in advance for entry. Bebe Rexha will be performing inside the GMA Times Square studio. Dierks Bentley’s Summer Concert will be broadcast live from one lucky GMA viewer’s rocking block party! Click HERE for more information and see how you can have Dierks perform on your block for free! Check out all of the GMA Summer Concert Series performers below! Be sure to follow Good Morning America and Secret Fangirls for the latest news on all of your favorite artists! There ain’t no party like a Block Party! New Kids On The Block’s Summer Tour, aptly titled, “The Main Event,” stopped at Nassau Coliseum in Long Island over the weekend. 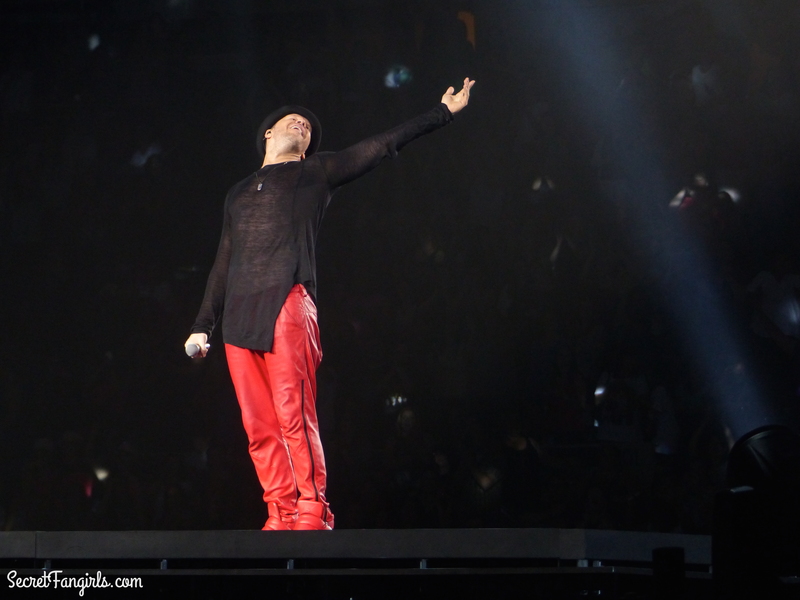 As with any NKOTB event, it was a nonstop party from start to finish! It was everything we expected from this tour, and more. NKOTB know how to BRING IT each and every night on stage. Our review started as a fangirl keysmash but we managed to recover enough to write actual words. 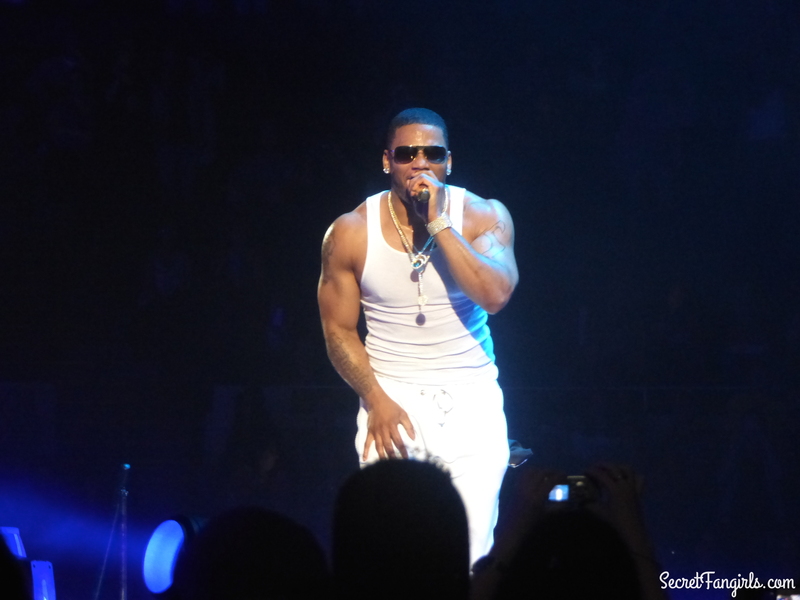 Nelly got the party started with hits like “Country Grammar,” “Ride Wit Me” and “Hot in Herre,” making everyone feel like they were back in high school. T-Boz and Chilli win for best outfits of the night. 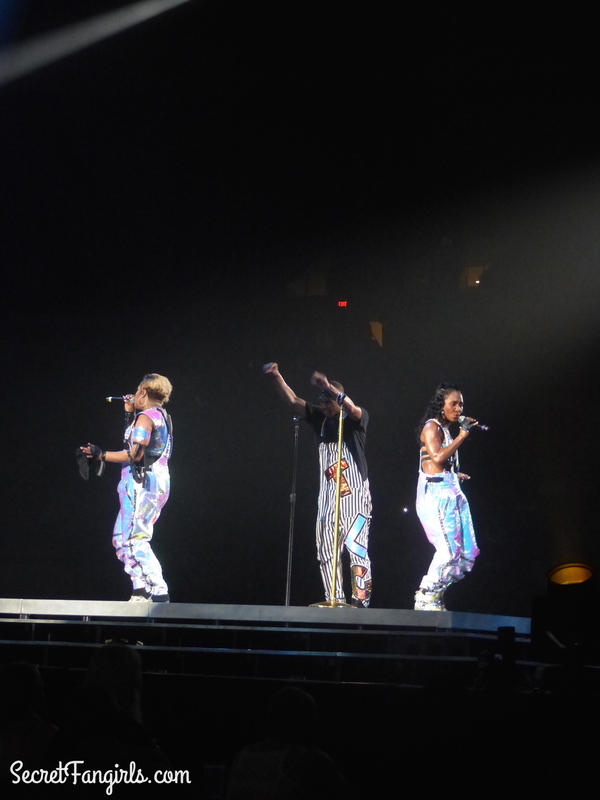 Their holographic jumpsuits and their dancers’ “TLC” printed overalls made us feel like we were back in 1999. The highlight of the set was a singalong to their hit “Waterfalls,” as the crowd held up lights in memory of Lisa “Left Eye” Lopes. The New Kids just get better and better with age. NKOTB know how to put on a SHOW. 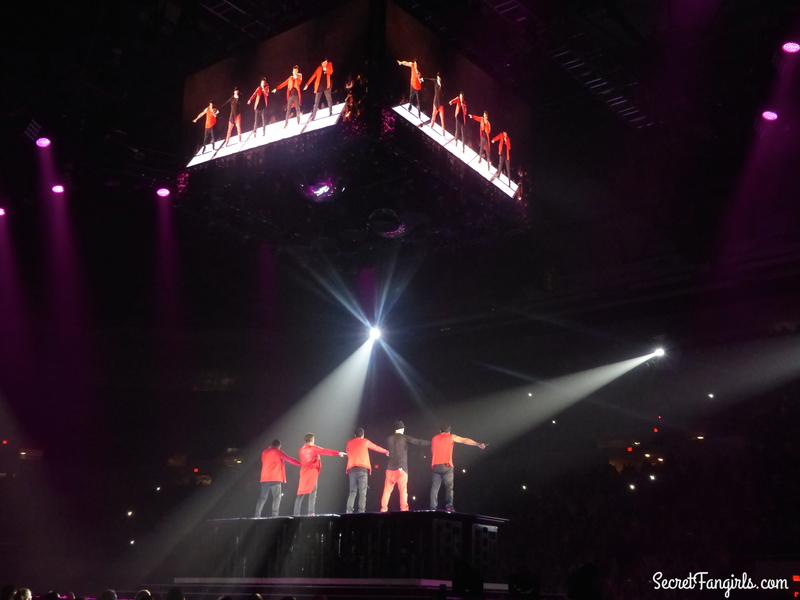 They also know how to make every fan in the arena feel like a part of the action. Their stage setup is one of the coolest we’ve ever seen, with moving risers and multiple runways, so everyone has a chance to be close to the band. And they know exactly what the fangirls want. Change cam? Check. Tuxedos? Check. Dance Moves? Check. Jordan Knight came out for a solo segment, his white shirt billowing open thanks to a couple of wind machines. Joey McIntyre followed, but decided to take things one step further and abandoned his shirt entirely. Donnie Wahlberg, once known for his tank top ripping and getting extremely um, close to fans in the front row, is happily married now to Jenny McCarthy, who was also in attendance. Instead of his old antics, Donnie led the crowd in a singalong of “Lean On Me,” while hundreds of #SelfiesForDonnie rotated on the big screen. A highlight of the show was when the band dispersed into the crowd during “Tonight,” getting even closer to some lucky fans. 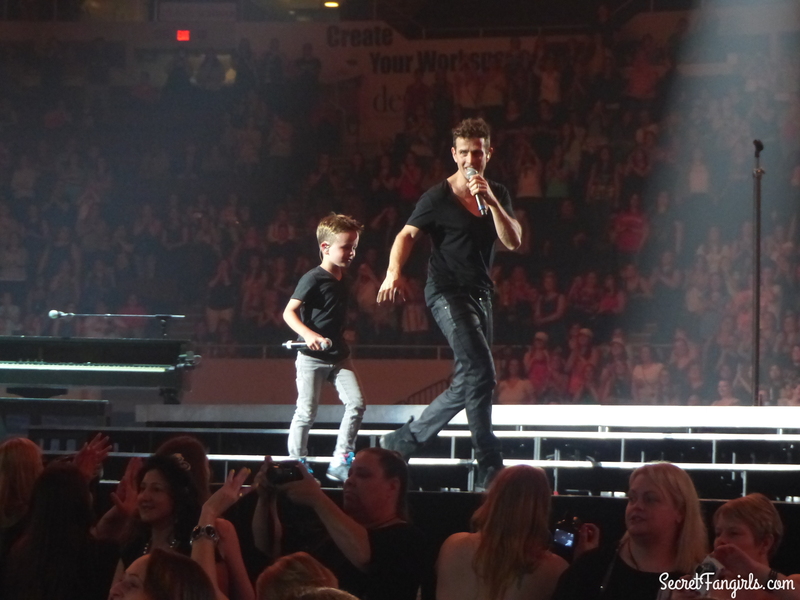 Joey’s adorable son Griffin kicked off the song, singing from on top of the piano. He even did a spinning headstand. Trust us, this kid is going to be playing arenas with (we hope) his own boyband one day! NKOTB are kicking off the 1st of 2 nights at Madison Square Garden tonight. There’s just a few more stops left on The Main Event Tour, but if you can get to a show, it’s a MUST. 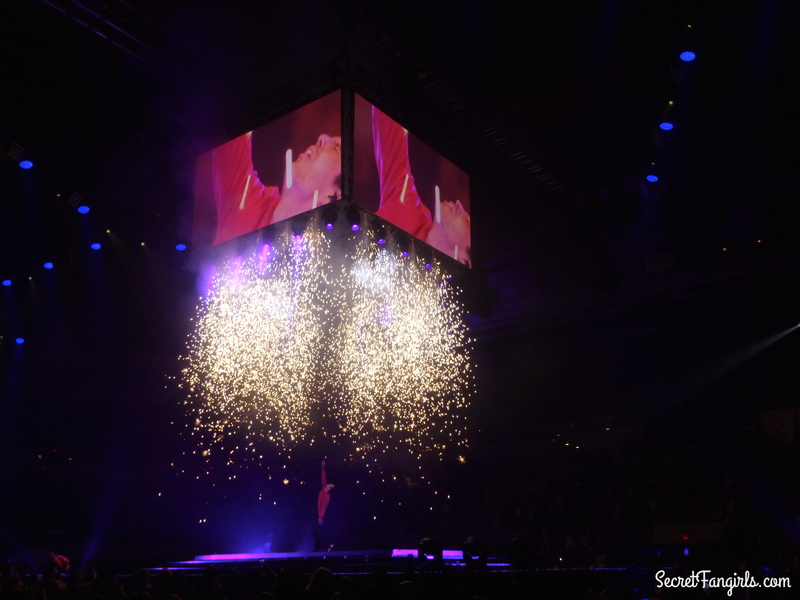 Visit our Tumblr page for lots more photos from the show, such as the one below. 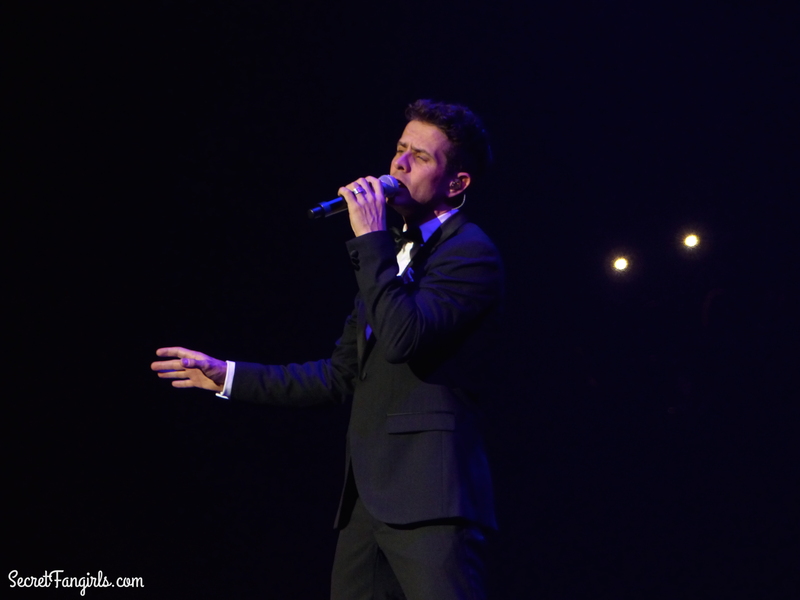 Be sure to follow NKOTB & Secret Fangirls for more updates! In case you haven’t noticed, we are insanely excited about The Main Event Tour happening this summer. NKOTB, TLC, and Nelly performing together on one stage? It’s guaranteed to be a nonstop party. Not sure about you, but we’ll be attending at least two shows. Check out all of the tour dates HERE! Here are some of the songs we can’t wait to hear this summer! The ultimate opening song, and NKOTB says it best: “Leave your troubles all behind only good times here tonight.” We still know all the choreography from The Package Tour. One of our favorite songs of the late 90s – we can’t wait for an arena-wide singalong. We’re imagining some sort of onstage collab between NKOTB & Nelly for this song, especially since NKOTB have done some “Dirty Dancing” to this song in the past. 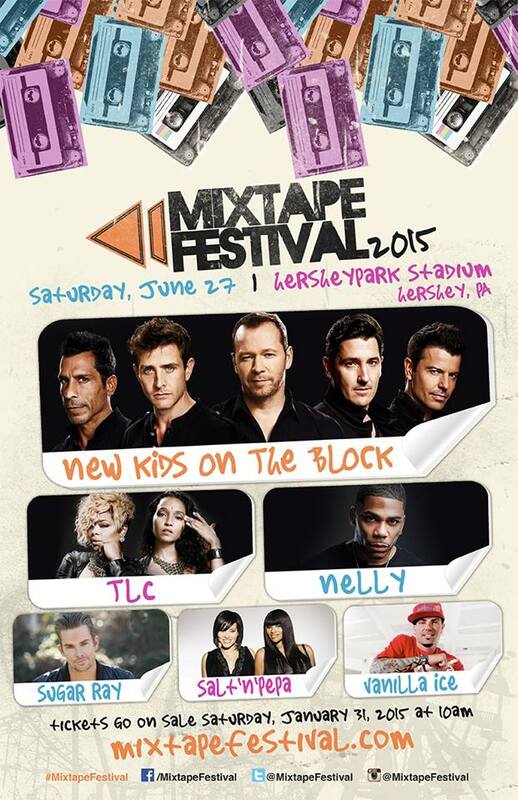 Mixtape Festival To Return to Hershey in 2015 with NKOTB, TLC, Sugar Ray & More! Mixtape Festival, the ultimate fangirl fest, is returning to Hersheypark Stadium this June after a one year hiatus. We’re not “festival people,” but we will make an exception for Mixtape, which brings together the best in 90s pop for an unforgettable weekend. We went to the inaugural fest in 2012 and saw NKOTBSB, LL Cool J, and 98 Degrees’ first show post- reunion. Needless to say, it was AMAZING, and we’re thrilled that Mixtape Festival is back in 2015! Check out the lineup below – tickets go on sale Saturday, January 31st. Mixtape Festival is great because all of the artist play full sets, not abbreviated festival sets. There are usually fun activities to go along with the concert, like boyband vs. boyband dodgeball games and VIP afterparties. Visit MixtapeFestival.com for more info on tickets and VIP packages!